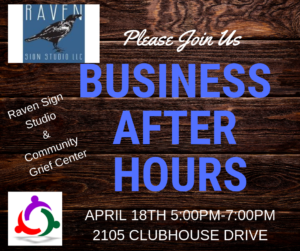 Please join us in an evening of networking at our Business After hours with Raven Sign Studio and Community Grief Center. Bring plenty of business cards to pass out and enjoy good company. We look forward to seeing you!